Sítio São Francisco is a small, 4.59-hectare farm located in the São Gonçalo do Sapucaí, MG, micro-region at an altitude of 1350 m.a.s.l. 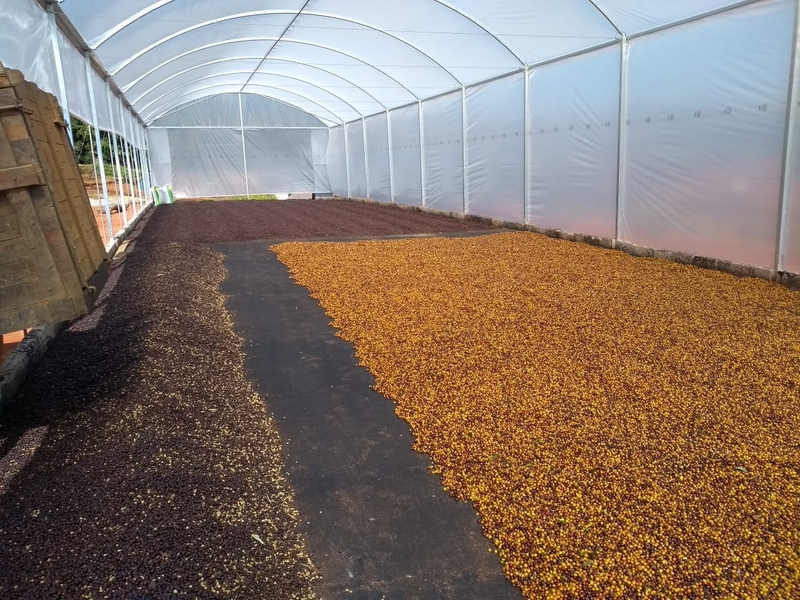 It was acquired in 2015 by Agricultural Engineer Adriana de Barros Rodrigues who arrived in São Gonçalo do Sapucaí in 2008 to work with technical assistance and rural extension, but the work with APAS (Alta da Serra Producer Association) on specialty coffees awoke much more than a desire to work as a partner of the group, it created a desire to be a producer and share the same experiences and challenges as coffee growers. 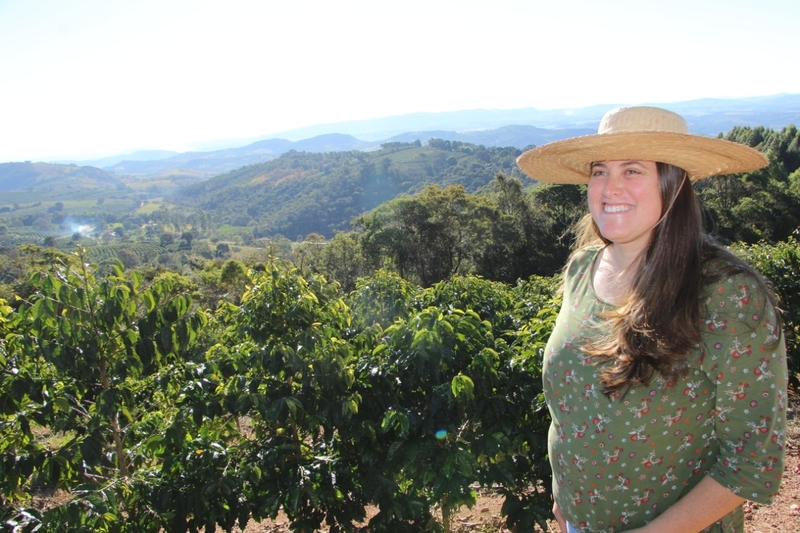 Her work gave her the opportunity to acquire the property and she planted fields of coffee, becoming a specialty coffee producer But working with specialty coffees goes far beyond growing coffee. It involves cultivating friendships, partnerships and good stories, such as with Ademilson Noiman Borges, a born grower, who became Adriana’s partner Sítio São Francisco. Both have worked with the goal of producing excellent quality coffees, taking advantage of the potential that the micro-region itself provides for producing specialty coffees, together with knowledge, hard work, dedication and love for what they do. Their work respects the environment, other social matters and food safety within the norms of Fair Trade certification.In 2017, Adriana had her first micro-harvest, which enabled her to participate in the Brazil Distinctive Cup Competition, a late harvest competition promoted by BSCA. Having been selected, she is certain that she is on the right path.The coffees produced have met their expectations. They have obtained high-quality coffees with differentiated aroma and sweetness, brilliant acidity, balanced body, and notes of fruits and spices. 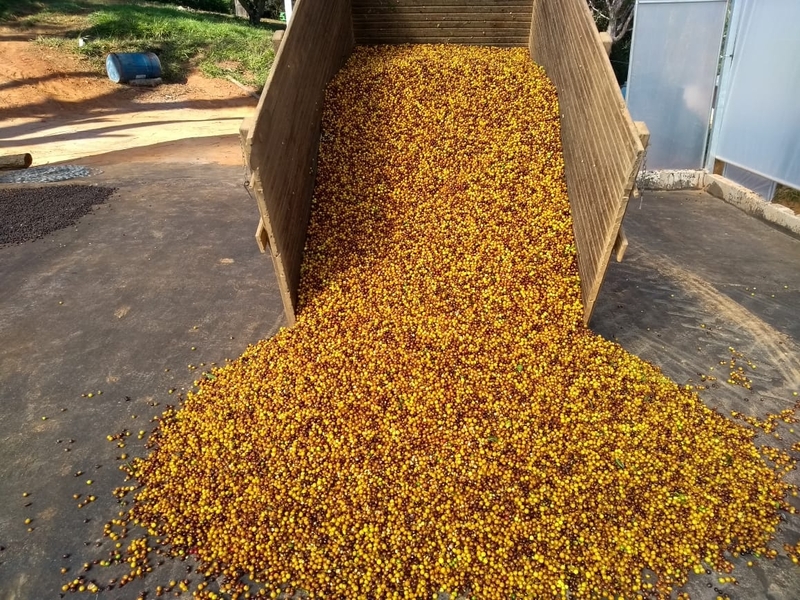 The lot selected in 2018 is made up of ripe Yellow Bourbon cherries, picked by hand over cloths, washed and separated. Drying was done slowly on a laminated asphalt greenhouse patio. After drying, the coffee was warehoused in-husk in Grainpro, resting for 30 days before milling. As part of the APAS group, the property has Fair Trade certification (ID:29097). 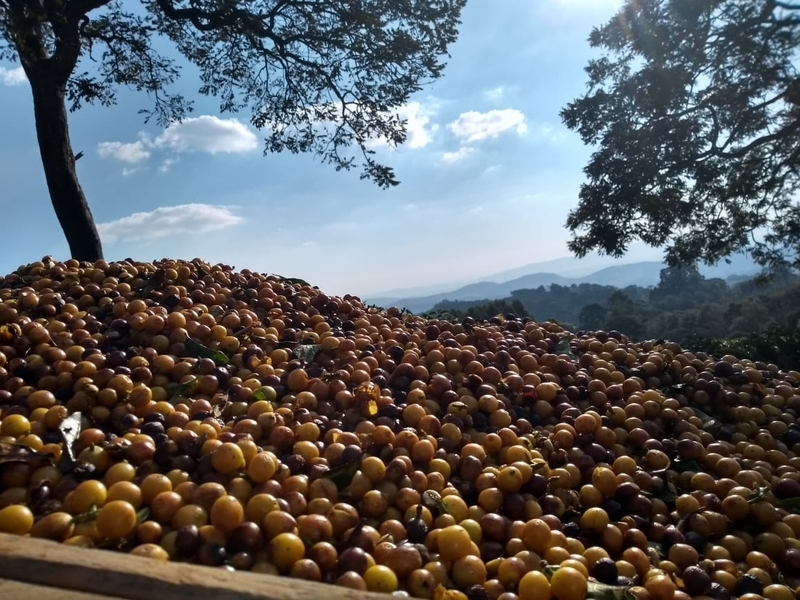 There is an entire quality process, not only the part of the job related to drink quality, but quality in the sense of food safety in which pesticides specific for coffee are used, respecting international standards and with the view that coffee is a food. Together with quality, there is respect for the environment and other social matters inside the normal of Fair Trade certification.